well our beloved Mother has moved past her depression and into making the new together with us. Here is a youtube link to the Christmas Oratorio, a performance of exquisite high merit. The Aria that CM mentions is about 2:08 into the performance. Feb 8, 2011 - What is Solar Logos? 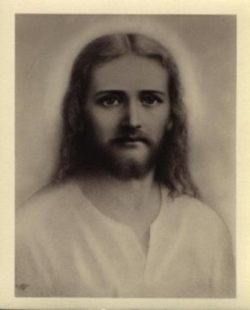 Jan 7, 2011 - Christ Michael: Update for Germany and Central Europe - energy conditions. too much following going on! May 21, 2010 - CM addresses all of us "almost Creator Sons." CM thru Peter, both German original and English in this post. Four Archangels, probably the same ones we heard from a few weeks ago. Received in German, translated to English, both Versions included here. I just found this in my mail Peter, my apologies for not posting it sooner. I am way behind still. Grandfather, I think I made some mistakes, I think I concentrated mostly on my work with the spiritual realm and I forgot a little bit to take care of the human level. Mar 8, 2010 - Grandfather Speaks Thru Peter!